For those running SPOT devices in GA aircraft, what's the best way you have found to semi-permanently mount a SPOT device to a Cessna 172 and/or Piper Cherokee? I keep mine in my pocket just in case. Velcro on the dash. Lanyard is right in front of me if I ever had to grab it in a hurry, velcro keeps it secure the rest of the time. Good view of the sky that far forward from the wing. Interesting about the Velcro. Any issues with it wearing out and/or loosening over time? Originally, I was thinking of a RAM mount but still had some difficulty imagining how it would be fastened to the panel. Doesn't mounting it to the plane kinda defeat the whole point? I'd just keep it in my pocket. If your plane goes in the drink, doubt you'll be thinking of the SPOT when it hits the fan, I'd feel mighty silly getting out of the plane and watching both my ELT AND SPOT sink. SuperchargedRS wrote: Doesn't mounting it to the plane kinda defeat the whole point? No, it doesn't. 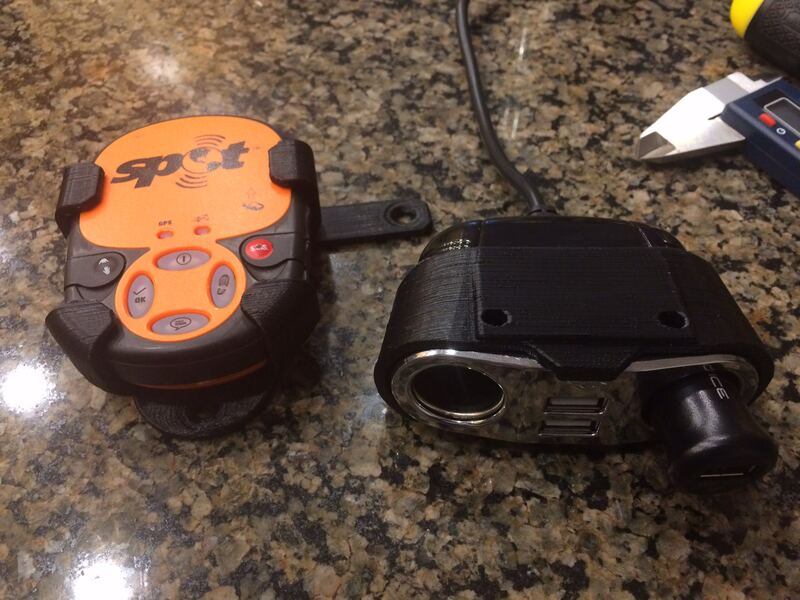 From a SAR perspective the real strength of the SPOT device is the tracking, not the alerting. It's not a PLB. It's best used on the dash in track mode (make sure that your tracker URL is on your airplane's master with FSS, or given to your "responsible person" if on an itinerary). A SPOT in tracking mode can give a good indication of your position even if you are unable to send an SOS message and your ELT's antenna breaks off in the crash. Having a method of quick removal (as Ahramin said) is great for if you have to exit the airplane in a hurry. If I was doing some higher risk flying (floats, etc.) that may require very rapid egress should something disastrous happen I would consider securing the lanyard to myself (to my pfd, etc.) so that when I leave the airplane it comes with me. A properly used SPOT can really narrow the search area for those looking for you, if it's used properly: in tracking mode, on the dash. This agrees with my thinking, else a simple PLB would be the way to go if one only wanted a signalling device for use once the aircraft is on the ground. Another option would be to deploy the PLB's antenna and activate while in the air. Though, this is still not as good as having the track that the SPOT would provide. I had a long and interesting conversation (maybe polite argument ) recently with a Captain from JRCC recently about the virtues of SPOT vs PLB/406 ELT (a 406 ELT is really just a PLB attached to your airplane). If used strictly for alerting a PLB is far superior to a SPOT. The PLB is picked up by the COSPAS/SARSAT constellation and is followed up on by the military. The SPOT is picked up by the privately owned Globalstar constellation and the call is routed through a company in Texas who sends help. This has lead to issues in cases of marine and aviation distress where the owner of the SPOT hasn't filled out their profile properly and GEOS (the company that monitors SPOTs and DeLorme InReach devices) has called the local RCMP detachment rather than contacting JRCC to dispatch the appropriate resources, costing precious time. 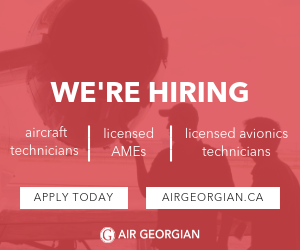 If you have a SPOT make sure you fill out the profile properly, tell them it's in an airplane and tell them to call JRCC. If you set off a Canadian registered PLB (or 406 ELT) anywhere in the world the Canadian Forces will open a file, follow up, and go to bat for you to make sure the local authorities actually respond. When the Concordia went down off the coast of Brazil, JRCC Halifax kept the heat on the Brazillians to ensure that they were actually looking for the ship rather than passing it off as a false alarm. What the PLB won't do, however is track. That's where the SPOT comes in. I think that tracking is so important because you don't have to think about it or do anything other than hit the track button before you take off. No matter what warning you have your SPOT will let rescuers know where to look, and where they don't have to. I pay for tracking every five minutes so in my airplane let's call that every 6 miles for the sake of simple math. On a 300 mile trip that's a 98% reduction in the area that needs to be searched for me if I go down. The idea of sending a distress message in the air is great, you can activate your 406 ELT from the dash, hit the SOS on your spot or fire up your PLB. If you have time. In the classic movie worthy engine failure scenario that's possible but in reality that's not how airplanes crash. Airplanes crash because people fly them VFR into clouds, they stall and spin at low altitude, they fly into cumulo-granite, and they forget (or were never properly taught) how to control the thing in the vicinity of an airport. In the most likely accident scenarios where the ELT may not survive or be able to transmit, tracking is going to be the best way to get found. By the end of our conversation the fellow from JRCC and I reached the consensus that the best way to go is a 406 ELT for alerting and a SPOT (with the profile filled out properly and the URL on file with FSS and friends and family) for tracking is the best way to go. How easy would it be to deploy and activate a PLB in the cockpit to ensure it starts transmitting at the first sign of distress? How well would it work as it's sitting (possibly sliding around) on the glareshield as you'd be flying the airplane to its final resting spot? It's these questions which make me lean towards a tracking solution like a SPOT. MarkT wrote: How easy would it be to deploy and activate a PLB in the cockpit to ensure it starts transmitting at the first sign of distress? How well would it work as it's sitting (possibly sliding around) on the glareshield as you'd be flying the airplane to its final resting spot? Somewhat longer than it takes to flick the switch on the dash for the 406 ELT, which does exactly the same thing. As I said above, if you wind up crashing you probably won't have the chance to screw around with a PLB or anything else before you meet terra firma (and if you do have that kind of time you probably have more pressing issues to deal with). An engine grinding to a halt in high altitude cruise flight giving you plenty of time to think about what you are going to do (a la flight school engine failure procedure) is an exceedingly rare event in aviation, and not a common way to bend an airplane. This is contrary to the hero-pilot fantasy of saving the airplane and all on board after catastrophic engine failure by gliding the wounded bird to a safe landing somewhere to await rescue, media coverage, medals, and accolades. This is very rarely reality, the stats don't lie. Airplanes are generally very reliable machines, it's usually the pilots who screw up. Mechanical failures only account for 14-15% of accidents in private aviation. A SPOT (used in tracking mode) is a better value than a PLB for a pilot because most airplanes already have what is essentially a PLB onboard. The SPOT tracks without your input. Keep good batteries in it and make sure you turn it on and place it in tracking mode before you go flying and as long as the right people have your tracker URL it will help in your rescue or recovery whether or not you are able to send a distress message. I was told that 406 ELTs do not send GPS coordinates to a satellite by default unless they are connected to a separate GPS receiver from which they get position data. As such, activating your 406 ELT may not guarantee that your location is broadcast to SAR, depending on the unit and its configuration. Is that correct? That is correct but I have yet to see someone go to all the trouble of installing a 406 and not hook it up to a GPS. ahramin wrote: That is correct but I have yet to see someone go to all the trouble of installing a 406 and not hook it up to a GPS. Mine is not hooked to a GPS and it's not capable of receiving GPS input. Most GPS capable ELTs require a GPS mounted onboard with RS232 output (most panel mount GPSs have this) for them to derive their data. 406 ELTs with built in GPS are a relatively new thing, but thankfully are becoming more common (though there are only 2 that I know of that are approved in Canada, the Kannad Integra and the Skyhunter 406). Both aircraft in my club have 406 units but they are not GPS-enabled unfortunately. So, I'm building a case for the club to equip each aircraft with a SPOT. If I'm remembering correctly you have a portable Garmin X96 mounted in your panel? That has RS232 output. Maybe because it's a VFR unit you aren't allowed to connect it to the ELT on a certified aircraft? I'll ask my avionics guy. ahramin wrote: If I'm remembering correctly you have a portable Garmin X96 mounted in your panel? That has RS232 output. Maybe because it's a VFR unit you aren't allowed to connect it to the ELT on a certified aircraft? I'll ask my avionics guy. That's right, I have a Garmin 495 (same as the 496, but without the XM) in the panel. My ELT is an Artex ME 406 though, they aren't capable of receiving GPS data. The legal question is interesting, I believe the unit is capable of putting out data in the correct format it seems silly to not be able to use it. Given that the first pass accuracy from COSPAS/SARSAT is 1-3nm on a 406 ELT (which is more than close enough to home or triangulate the 121.5 signal, or find me using the MKI Eyeball) and that I have a SPOT on board 100% of the time I don't think it would be worth my while to upgrade. If I were doing a new installation though, having GPS is a no brainer considering that the new units with GPS built in (no screwing around getting data from the panel GPS and single antenna installation) aren't meaningfully more expensive than a non-GPS ELT. That Artex is a pretty expensive unit and will take GPS input. All you need is an ME-183 Interface box to wire it to your GPS. I can't find any supplier or price on one though so don't know what the deal is there. Even Artex doesn't have it on their site. Strange though, the ACK E-04 is less than half the price of anything else out there and takes GPS position from both panel and portable GPSs, and uses D batteries. Can't figure out why anyone would buy anything more expensive. When I fly GA I keep mine clipped to my jeans. I'd rather have it on me than needing to hunt for it in an emergency. put the spot in your pocket! Depending on how often you're dropping breadcrumbs though. Problem with spot is that it doesn't go directly to SAR. A PLB does, i believe. I 3d printed a bracket that uses the existing holes in my panel. It is on the far right of the panel right near the door to the aircraft. Easy to grab if you are getting out in an emergency. It is also easy to see if I have forgotten to turn it off at the end of the day.